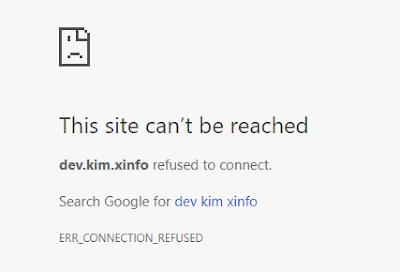 Problem Today, I'd like to simulate a DNS at my local site but I got some weird error. After I finished my program that I tested it with press F5 and I got the error which is "Unable to launch the IIS Express Web server".In the past, My workaround is to restart Visual Studio if which is not working then I will restart the computer so that it can be work. Every time I got this error that was affected my productivity.According to that, I decided to find the permanent solution to do that. Jenkins-PowerShell set fail while exception occurred. When upgraded Jenkins Power Shell Plug in 1.3 version.Due to it runs Non-Interactive.Therefore, it always reports success no matter some exception occurred. When an exception occurred that to be considered as a failure, you have to add some check condition as below. Solution Putting multiple sites point to the same location.This way is not used the connection string of web.config at its folder but used IIS directly.As below.